There’s really no reason to settle for the ordinary for your catered business lunch, party, wedding or any special occasion. 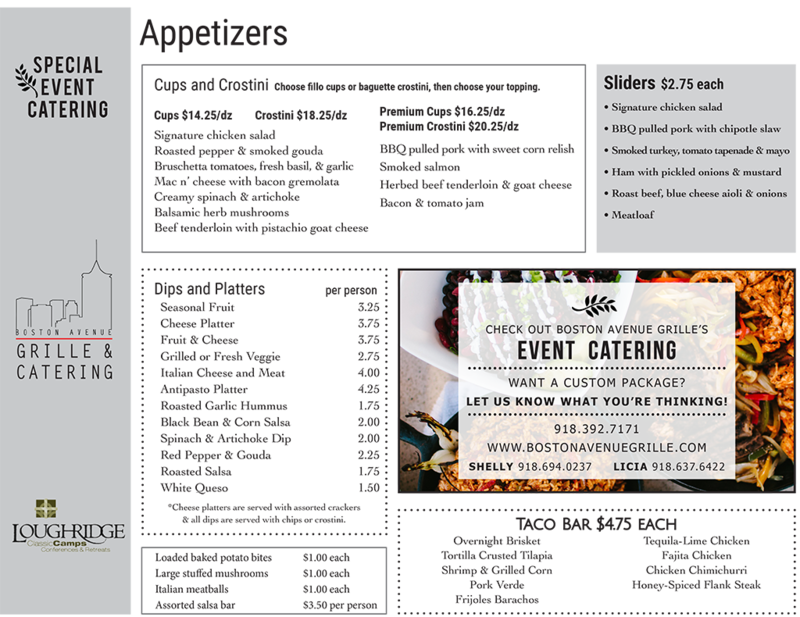 Boston Avenue Grille can help you creating the right menu at the right price for your event. We have experience in catering events both big & small and can provide everything you need to make the food & service portion of the event run smooth. 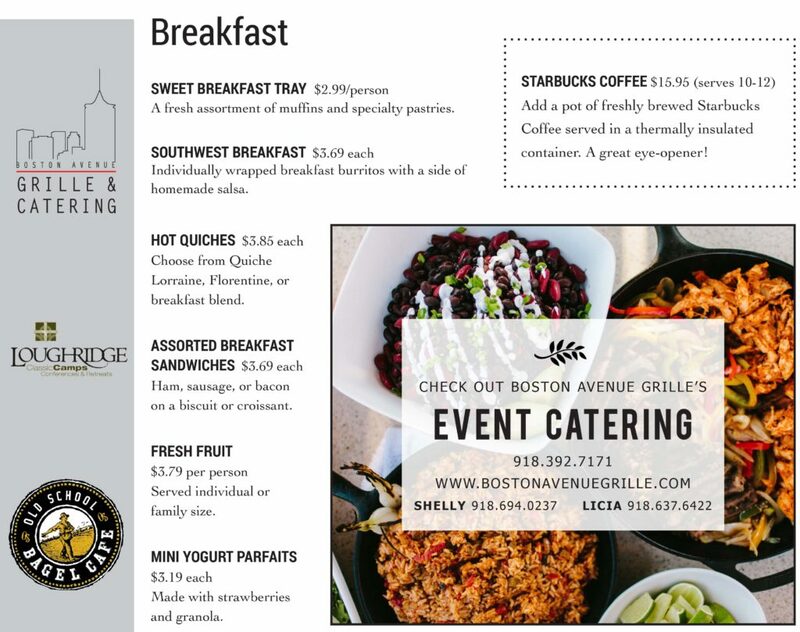 Boston Avenue Grille was recently chosen as the exclusive catering partner at Camp Loughridge. 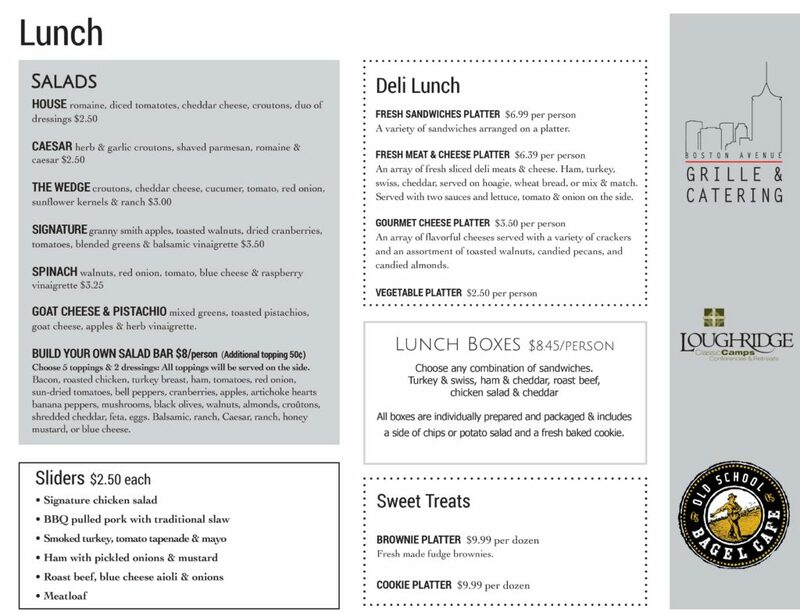 Please look over our Special Event Catering Menu below and feel free to contact us at 918-392-7171 If you have any questions or special requests. 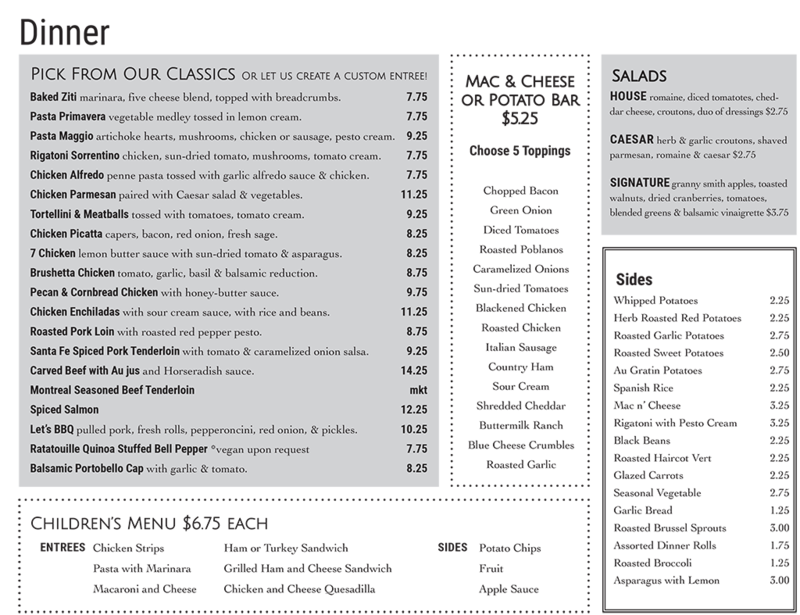 We look forward to exceeding your catering expectations!